Eleanor Parker, the actress who played Julie Andrews' love rival in The Sound of Music, has died on Monday as a result of complications from pneumonia. According to family friend Richard Gale, the 91 years old American actress passed away peacefully, surrounded by her children in a medical facility near her home in Palm Springs. Born in Ohio in 1922, Parker was signed by Warner Brothers soon after high school at the age of 18. Her debut was in war movie Soldiers in White in 1942, where she played the role of a nurse. It was for her portrayal of strong willed women that she was nominated for three Academy Awards in the 1950s. In 1950 in fact, the first nomination came for the movie Caged, a film noir directed by John Cromwell, in 1951 it was for her role opposite Kirk Dougles in William Wyler's Detective Story, and in 1955 for her interpretation of opera singer Marjorie Lawrence in the biographic movie Interrupted Melody. However, Eleanor Parker is mostly remembered as the scheming baroness in love with Baron von Trapp in The Sound Of Music. In the memorable role, her character Baroness Elsa Schrader lost Christopher Plummer's Baron to Maria, played by Julie Andrews. Parker's career started to wane in the 1960s, with less frequent roles in films and on TV shows includingFantasy Island, Murder, She Wrote and The Love Boat. The Hollywood actress was married four times and had four children. Her first three marriages were short-lived and ended in divorce, while her fourth in 1966 to Raymond Hirsch ended with his death in 2001. Parker's death at a time when the classic musical The Sound Of Music is back in the spotlight following NBC's live restaging last week. 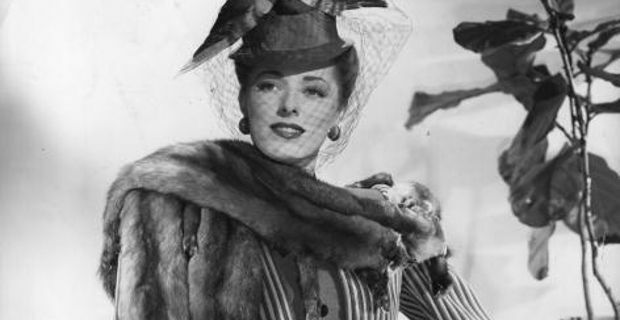 Actor Christopher Plummer gave a moving tribute to her in a statement yesterday: “Eleanor Parker was and is one of the most beautiful ladies I have ever known,” he wrote,"Both as a person and as a beauty. I hardly believe the sad news for I was sure she was enchanted and would live forever."